Meet Chheddo Kumal from Tikapur, Nepal. He and his wife own and run a small shop. 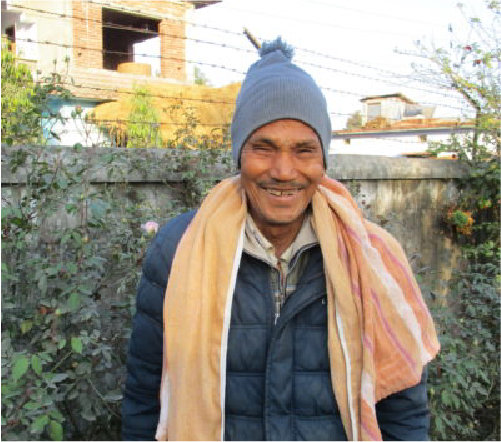 Over the past few years, Chheddo’s eyesight has become so weak that he has no longer been able to work in the shop. His wife, who is illiterate, has a hard time running the shop. As a result, his family’s income has been cut in half. Chheddo even struggles to complete his daily tasks. He feels useless and unable to do anything.